With its main campus in Lansing, Michigan, the Thomas M. Cooley Law School is a private institution affiliated with Western Michigan University. In addition to its main campus, Cooley also has satellite locations in Grand Rapids, Michigan, Auburn Hills, Michigan, and Tampa, Florida. Cooley is one of the largest law schools in the country, with a total student enrollment of 1,342. Cooley has one of the more generous admissions policies of U.S. law schools, extending offers to about 80% of all applicants. It appears as “Rank Not Published” (RNP) in the U.S. News & World Report rankings. The law school prides itself on the engagement of its academic community, commitment to students’ academic success, and culture of professionalism. Cooley is known for emphasizing practical skills in its law school curriculum. What does it take to earn an acceptance to Cooley? The law school’s admissions numbers suggest that it’s relatively much easier to be accepted at Cooley than at most other schools in the U.S. Studying for a great LSAT score can go a long way toward securing scholarships. The median LSAT score at Cooley is 145. Cooley’s 25th percentile on the LSAT is 142. Its 75th percentile is 151. 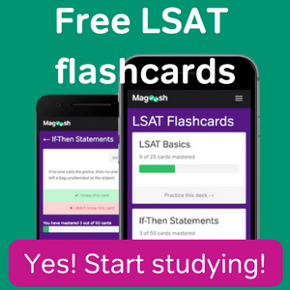 How does your LSAT score compare? As a reminder, our score comparisons are intended to give you a frame of reference only. We aren’t Cooley admissions officers, so we can make no guarantees of admission! Keep in mind that you’ll also need a strong GPA to round out your LSAT score. 163+: As long as there are no major issues with other parts of your application, we predict you’ll be in at Cooley with flying colors – most likely with a full-tuition honors scholarship. If your score is in this range, you don’t need to worry much about your chances of admission. Make sure your personal statement and resume are well-polished to maximize your scholarship chances! 162-158: In this range, your score is well above Cooley’s 75th percentile, so your score will make a strong case for your admission. You will also be competitive for an honors scholarship covering up to 75% of tuition. 156-153: Your score sits above Cooley’s 75th percentile, so you should still be setting your sights on a scholarship rather than just acceptance. With this LSAT score, you can receive an honors scholarship covering up to 50% of tuition. 152-149: Your score at this range is closer to Cooley’s 75th percentile than the scores above, but still makes you a very strong candidate for both admission and scholarship money. Cooley will likely award you an award covering up to 25% of tuition. 148-145: With a score in this range, you’ll be at or above Cooley’s LSAT median. Your LSAT score will make you competitive for admission, but you might be out of the running for scholarships. 144-142: An LSAT score in this range will put you on the lower end of Cooley’s numbers. Though you’ll still be at or above the school’s 25th percentile, you’ll need to make the rest of your application really stand out to ensure a good outcome at Cooley. 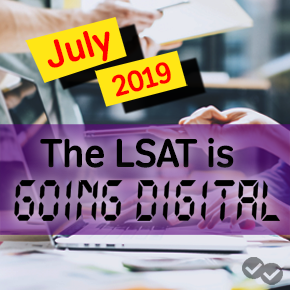 141 and below: Because a score in this range would be below Cooley’s 25th percentile, we strongly recommend retaking the LSAT to improve your admissions chances. How can a retake help you? Check out our post here.